MORRIS, William. 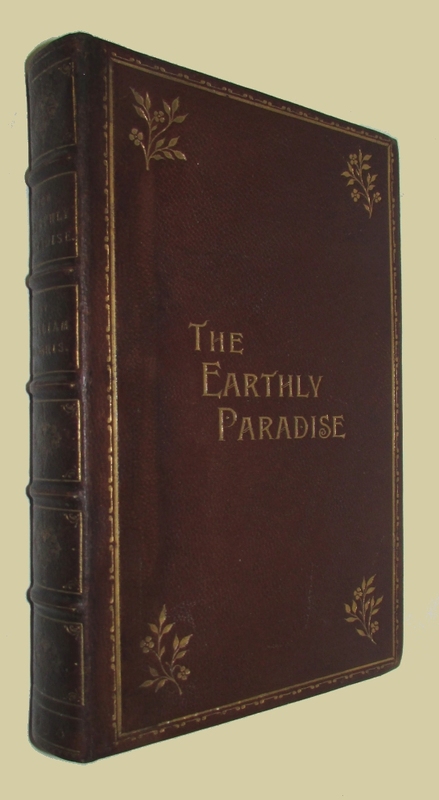 The Earthly Paradise. A Poem. 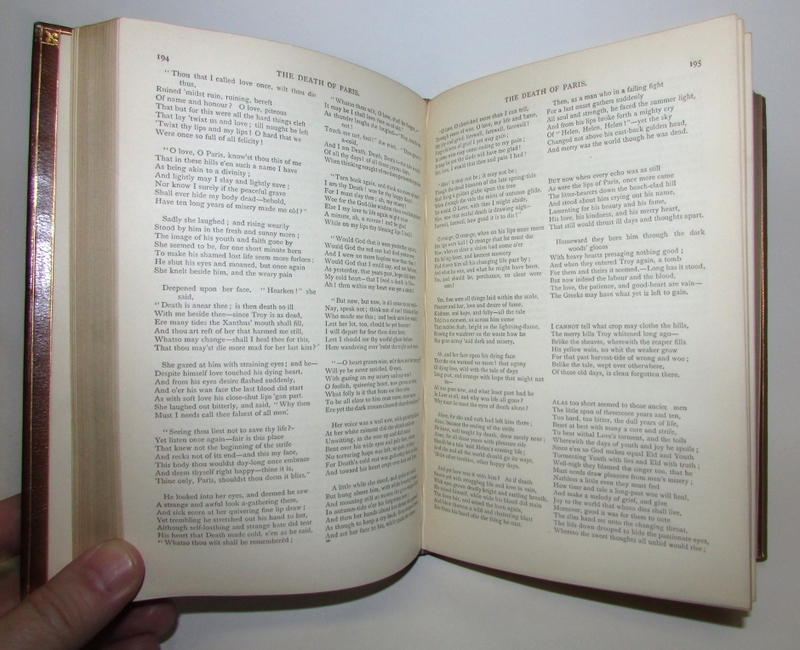 London: Reeves and Turner, 1890. 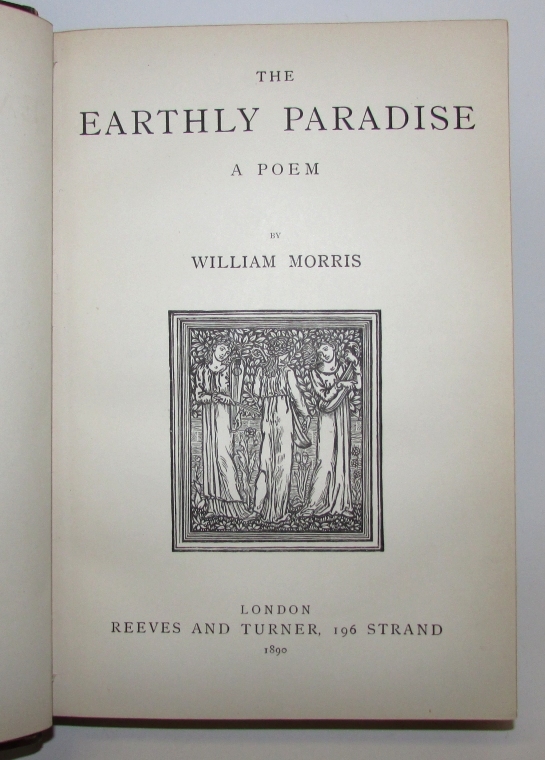 Later edition, but the first appearance of the revised text of The Earthly Paradise used in the Kelmscott edition in 8 volumes, which was in process of printing when he died. Tall squarish 8vo., bound in full contemporary brown morocco, raised bands, gilt compartments, both covers have decorative gilt borders with a floral decoration in the corners, inner dentelles gilt, a.e.g., viii, (1)-445pp. double columns. Ownership signature on the verso of the front free enpaper otherwise an about fine copy in an attractive binding. Forman 35, Colbeck 1: p.582.